The photographic image is essentially still and silent. No movement, no sound, no time. What happens if you add one of these missing elements? 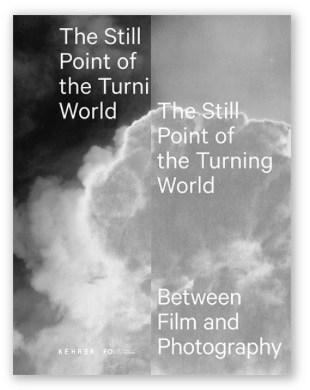 The exhibition The Still Point of the Turning World: Between Film and Photography focuses on practices in which a photographer turns towards film or a video artist turns towards photography. What beauty can be found on the borders between? The exhibition highlights works that are based on photography’s relation to the appearance of the everyday and the process of that appearance and shows both video-installations and photographic works. Morten Barker (DK), Dirk Braeckman (BE), David Claerbout (BE), Manon de Boer (NL), Jason Dee (UK), Nir Evron (IL), Mekhitar Garabedian (BE/SY), Geert Goiris (BE), Paul Graham (UK), Guido Guidi (IT), Mark Lewis (CA), Louis Lumière (FR), Mark Neville (UK), Lisa Oppenheim (US), Raqs Media Collective (IN), John Smith (UK), John Stezaker (UK), Hiroshi Sugimoto (JP), Ana Torfs (BE), Michiel van Bakel (NL), Jeff Wall (CA); and from the FOMU collection: Henri Cartier-Bresson (FR), Eadweard Muybridge (UK) and Duane Michals (US). Aristotle went on to unpick the paradox, and modern physicists of the 17th and 18th centuries explained what Zeno had misunderstood about objects in motion and the space-time they pass through. But the arrival of photography in the 1830s, and then cinema in the 1890s introduced forms of imaging that accidentally revived the paradox. Fast shutter speeds seemed to be able to give the impression of a moving world in a state of fixity. Cinema, with its recording and projection of regular frames per second, gave the illusion of movement recreated from those instants of apparent stillness. The cinematic animation of sequential drawings, and the stop-frame animation of objects made the movement of inert things even more compelling. You have to be a perfect dancer to dance immobility, like these solitary break-dancers … Their bodies only move at long intervals, like the hand of a clock stopping for a minute on every second, spending an hour on each position. This is freeze-act, as elsewhere one finds the freeze-phrase (the fragment which fixes the writing) or the freeze-frame in cinema, which fixes the entire movement of the city. This immobility is not an inertia, but a paroxysm which boils movement down into its opposite. The same dialectic was already present in Chinese opera or in animal dances – an art of stupor, slowness, bewitchment. This is the art of the photograph too, where the unreal pose wins out over real movement and the ‘dissolve’, with the result that a more intense, more advanced stage of the image is achieved in photography today than in cinema. I prowled the street all day, feeling very strung up and ready to pounce, determined to ‘trap’ life, to preserve it in the act of living. Above all I craved to seize the whole essence, in the confines of one single photograph, of some situation that was in the process of unrolling itself before my eyes. ‘Trapping’ and ‘seizing’ belong to photography’s quick snap. The ‘whole essence’ points to a longer situation condensed into one frame. And ‘unrolling before my eyes’ hints at an observer not quite in the world but removed, as if watching it on a screen. Cartier-Bresson also writes of ‘bursting’ into photography as a boy, taking snapshots with a Box Brownie camera. “Then there were the movies. From the great films, I learned to look and to see.” His compact Leica camera, so vital to the development of the mobile art of reportage photography, took 35mm stock made standard by the film industry. Indeed, the Leica was in part designed to enable cinematographers to make exposure tests on short lengths of ciné film, without having to thread up a bulky movie camera. So, while photography may have given rise cinema, cinema gave rise to the ‘decisive moment’. This is true in more than a technical sense. Stillness, and arrestedness, came to define photography only in the shadow of the cinema. It was almost as if cinema, in colonizing the popular understanding of time, implied that life itself was made up of distinct slices and that still photography had the potential to seize and extract them. In reality, cinema could to do this too: at the same time that reportage and photojournalism were chasing single great instants, Beaumont Newhall was noting, in his 1937 Photography: a small Critical History, that “‘some of the most striking news photographs are enlargements from news film.” And in 1920, five years before the Leica, the French manufacturer Debrie had launched the Sept, a clockwork camera that could shoot stills or moving footage. The convergence of media, which is so often presumed to characterize recent image technologies, has a very long history. Perhaps they never really diverged at all. To look at a photograph beyond a certain period of time is to be frustrated: the images, which on first looking gave pleasure by degrees becomes a veil which we now desire to see. To remain too long with a single photograph is to lose the imaginary command of the look, to relinquish it to the absent other to whom it belongs by right: the camera. The image now no longer receives our look, reassuring us of our founding centrality, it rather, as it were, avoids our gaze. In photography one image does not succeed another in the manner of cinema. As alienations intrudes into our captation by the still image, we can only regain the imaginary, and reinvest our looking with authority, by averting our gaze, redirecting it to another image elsewhere. It is therefore not an arbitrary fact that photographs are deployed so that, almost invariably, another photograph is already in position to receive the displaced look. The gaze slides across the glassy surface of one frozen apparition, and onto another. But there is nothing to say the gaze will not return to that first image. Indeed, there are times when the very forces that displace our look from a still photograph compel us to revisit it. Is this not why some photographs, be they sentimental snapshots or great art, are loved and cherished? They are the accumulation of our quick glances upon them. Against the fixed image we measure our change, our duration. Eliot attempts to express what many artists attempt in images. Whatever its charms, no single picture, no single representation, no single way of fixing or viewing the world will suffice. It is into the gaps between representations that the meaning of modern life will fall. ‘F’ is for film. An elusive term, but productively so. It is what linguists call a shifter, its meaning changing profoundly depending upon the context in which it is used. Sometimes ‘film’ refers to the celluloid support, coated in light sensitive chemicals, as distinct from the electronic image sensor of digital cameras. Sometimes ‘film’ is a synonym for ‘the moving image’ or even ‘cinema’, as distinct from ‘still photography’. As an accent on this ambiguity, let us say ‘F’ is also for freeze frame. No image seems more immobile than the freeze frame, that instant when cinema appears to suspend itself, and we are left to gaze upon mute fixity. The freeze frame is a species of still image that exists only within the moving image (extract it from the flow that it interrupts and it ceases to function as a ‘freeze’ at all). For all their variety, what is most striking about freeze frames is that we cannot help but read them as photographs. Technically speaking, they are, of course, single photographic frames repeated to give the illusion of time at a standstill, but we tend to read them culturally as photographs too. The moment we register that the cinematic image has frozen we have in place a number of possible ways to read it: as a poignant snapshot, a telling news image, a family album photo or a mythic emblem. Indeed, it is difficult to imagine a freeze frame resistant to a photographic reading. ‘H’ is for horse. It was, of course, a horse that triggered the whole experiment in how to make a clear and instantaneous photograph of fast motion. Leland Stanford, a wealthy Californian industrialist, engaged the Englishman Eadweard Muybridge for the sum of $2000, to take photographs that would clarify whether or not a horse ever has all its legs off the ground at full gallop. On July 1, 1877, Muybridge’s sequential photographs of Leland’s horse Occident did indeed show the beast in mid-air. Two years later, Muybridge was reanimating those images, creating primitive illusions of motion with his zoopraxiscope projector. But this movement was really a novelty for him. (Etienne-Jules Marey, Muybridge’s French contemporary, also photographed horses in motion, and when cinema came along he was unimpressed – it merely mimicked motion while he was trying to analyse it.) At the heart of Muybridge’s project, which eventually ran to thousands of photographic studies of animal and human locomotion, was a consuming desire to stop things. It is a sweet irony then, that cinema – the art and technology of moving images – claims as its forefather a man so obsessed with bringing things to a standstill.